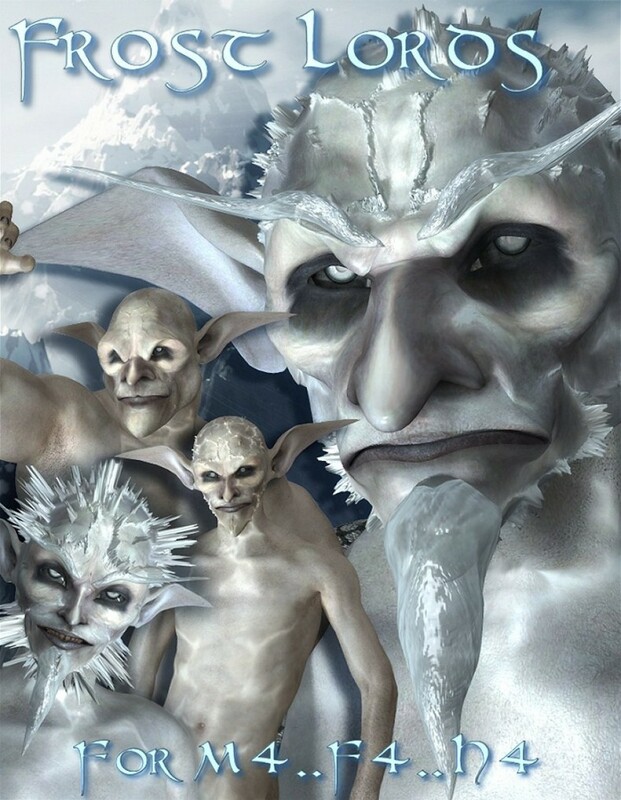 Frost Lords, known as The Sons of The Forgotten Realms, wait in the frigid wastes, preying upon dire beasts and arctic horrors that lurk in the deep washes of snow. Lean and trim, like a frozen corpse, their skin is gaunt and pale with a tinge of blue on the tips of their extremities. Squinting in the bright sunlight of there snowy desert, their eyes are a chilly pale blue or even white. Their hair, rigid like Icebergs standing proud out of their deathly cold oceans , with tinges of blues and greens, but is so pale, that only Frost Lords, with their keen sight and pickiness, ever care to make a distinction other than white. Motionless in the gale wind, waiting in time for when they can return to the Forests of their once proud ancestry.